Hey there! I'm so happy you stopped by. 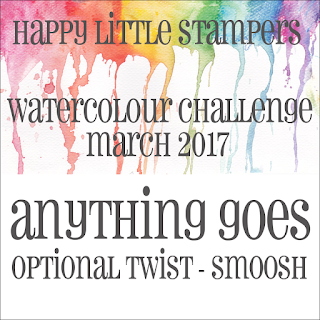 A new watercolour challenge starts today over at Happy Little Stampers. As you all know by now it's always anything goes with an optional twist. This month we would like you to do some smooshing on your cards. This is totally optional and if this is not your thing, don't worry about it. 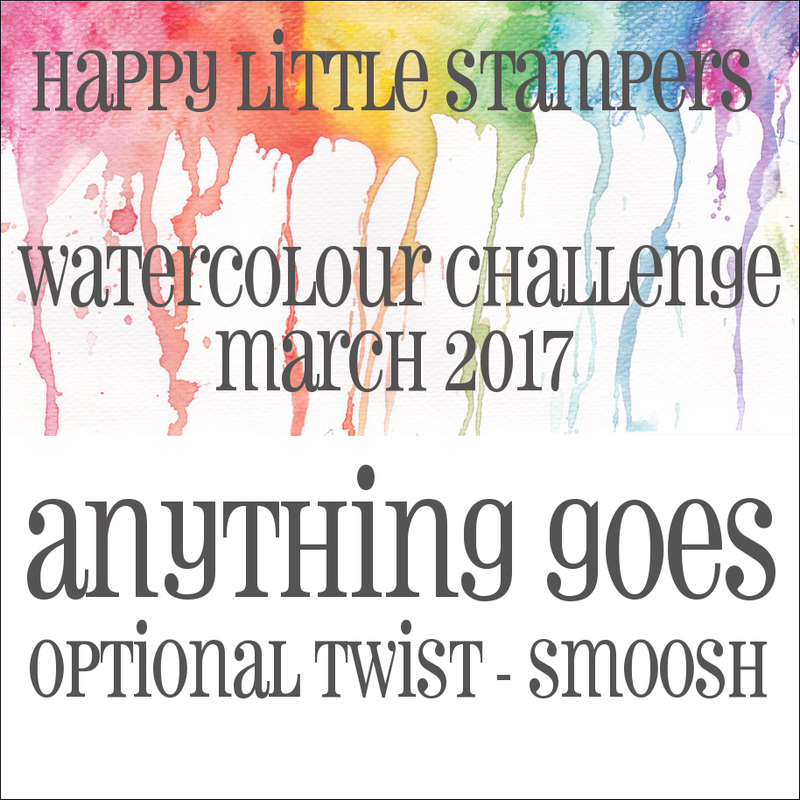 Just get your watercolours out and have some fun! For my card this month I chose an image and a sentiment from Wish You Were Here illustrated by Kylie Purtell for Happy Little Stampers. Hope you find time to play along with us and visit all the DT's blogs. You have the whole month of March to link up your projects! 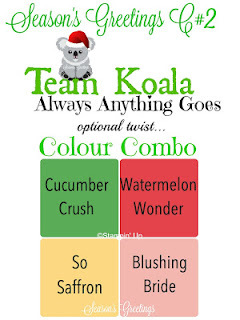 Today you have the pleasure of playing along with Team Koala. Below you will find a gorgeous palette of colors for you to work with. Now as you know, our challenges are all anything goes so using the palette of colors is totally optional. 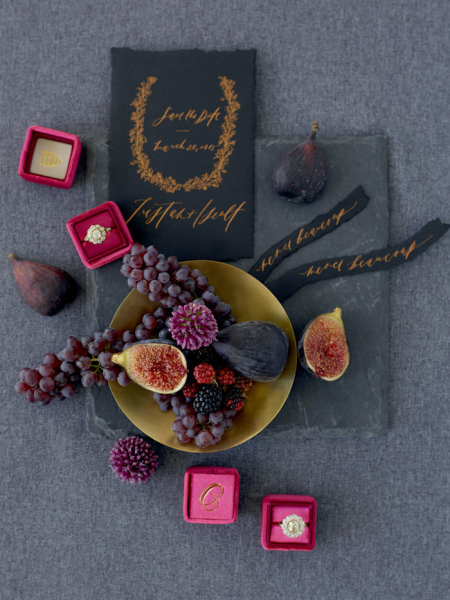 The palette is there for inspiration and to get your creative juices flowing. Also, your project must be Christmas related. 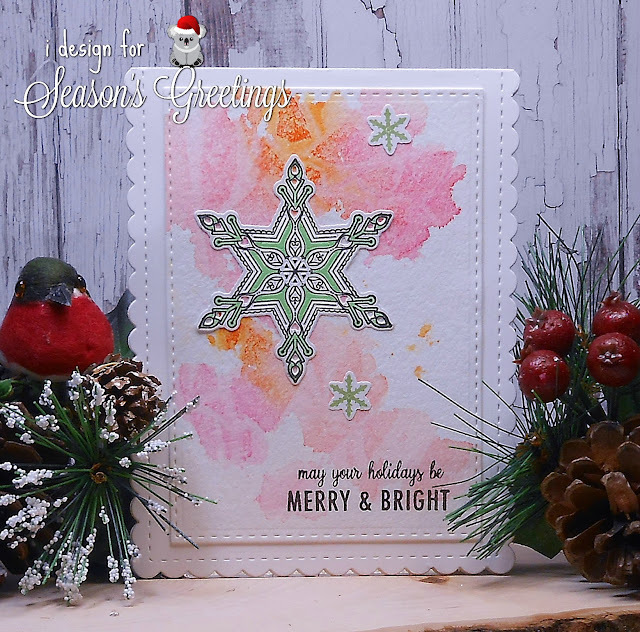 Here is my take on the challenge featuring images from What the Doodle Snowflake and coordinating die and the A2 scalloped vertical die by Papertrey Ink and a sentiment by Neat and Tangled from their set Bright Baubles. I water colored the background with Kuretake Gansai Tambi water colors. Stop on by and see what the rest of the DT created and play along with us. We would love to see you in our gallery! 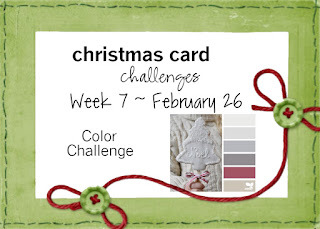 We have provided you with a color pallet this week at Christmas Card Challenges but it's totally optional. 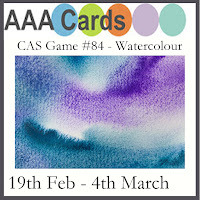 It's only there to give you inspiration and a jumpstart on your card making. My card today features Polar Bear Pals by MFT. I bought this set around Christmastime when they had a big end of the year sale going on. I finally got to ink it up for the first time the other day. The sentiment is by Gna K. Designs called Compliments of the Season. I finally had some time to create a card for Papertrey Ink's February Blog Hop. 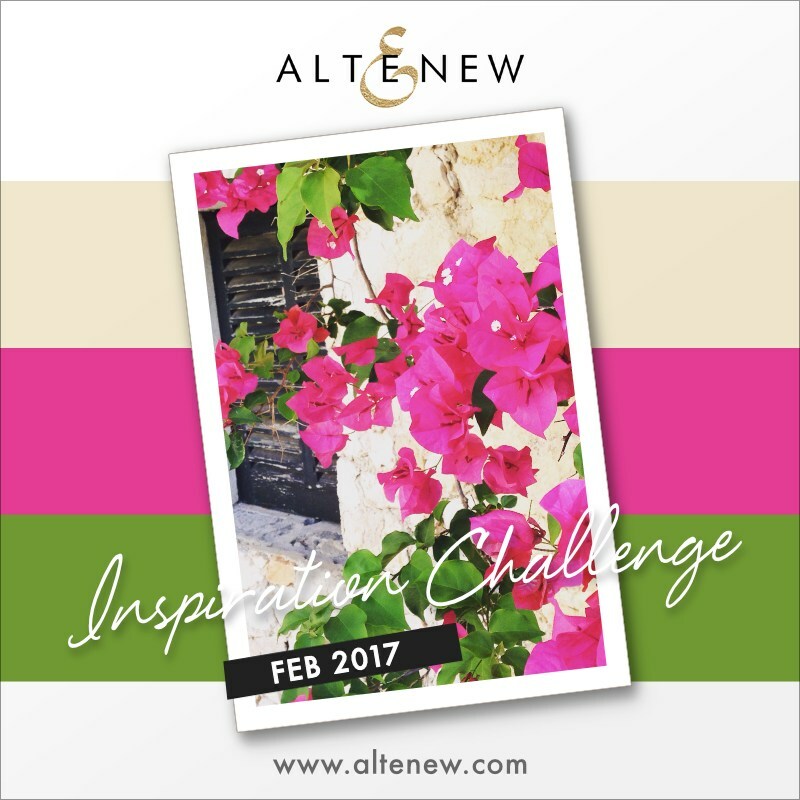 Here is this month's inspiration photo. Here is my take on the challenge featuring Latin Motifs. 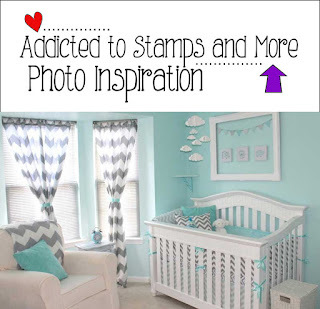 I did a little stenciling in the background with Tim Holtz's Dot Fade. I have a CAS card today featuring an image from Framescape: Simple Spring and a sentiment from Springtime Baskets by Gina K. Designs. My background was water colored with GKD inks on a die cut stitched rectangle wafer die by Simon Says Stamp. My card features her newly released Fabulous Flowers and was colored using my Chameleon Markers. The results are absolutely stunning! I made this card for my son who has a birthday coming up soon. 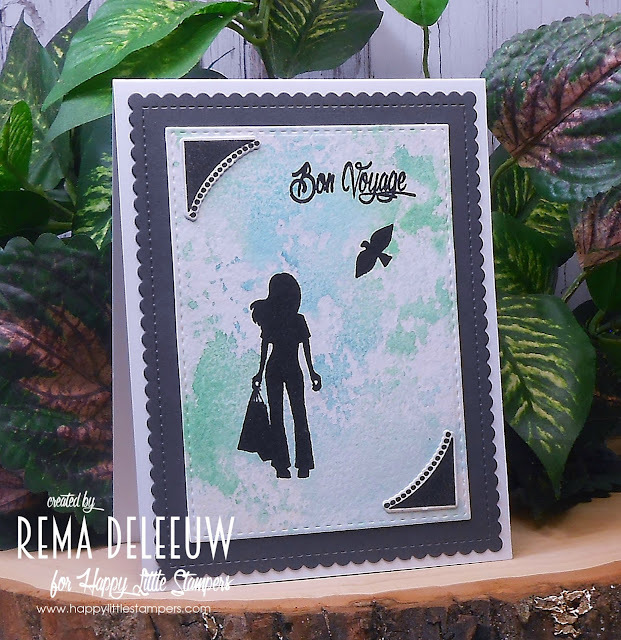 It features images from Framescape: Simple Spring illustrated by Theresa Momber for Gina K. Designs. The image of the man in the boat is from Framescape: Winter Trees. 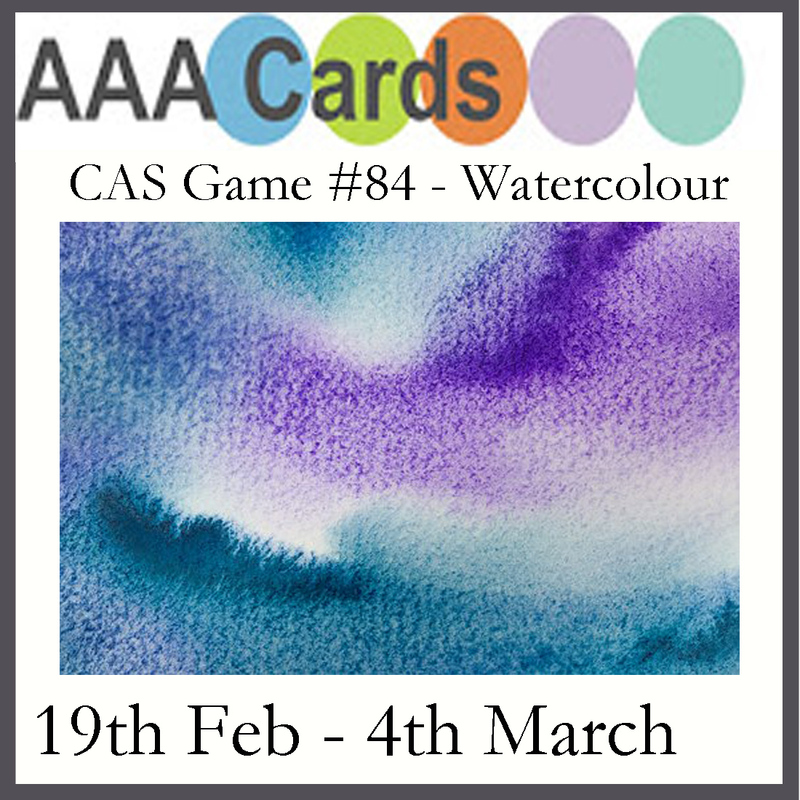 The background was lightly sponged with GKD dye inks. Here is my take on the challenge featuring products from PTI. 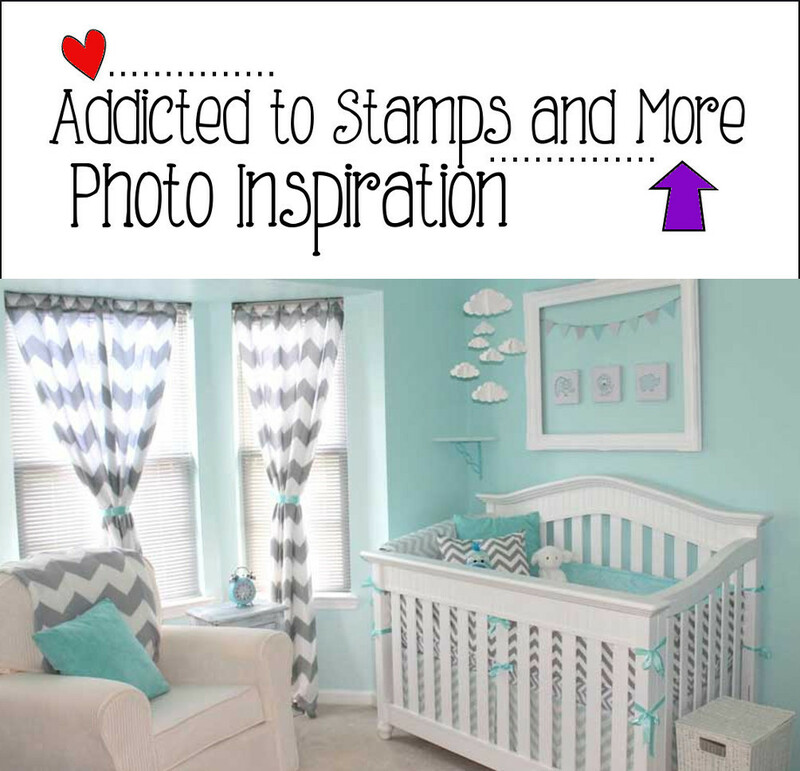 I was inspired by the colors, patterns and the baby theme. Now it's your turn. Stop by and play along and see what the rest of the team created. We would love to see you in our gallery! I had sometime tonight to stamp up this birthday card featuring an image from Vintage Rose and a sentiment from Birthday Blessings by Gina K. Designs. I water colored my background with dye inks by GKD and added a double bow to finish my card off. I am still playing around with the newly released sets by Gina K. Designs, Spring Fling and Springtime Baskets. For this card I did a little masking , stenciling and fussy cutting.. I made a double bow and adhered it to the side of my card for a finishing touch. I have this cute card to share today featuring the newly released sets Spring Fling and Springtime Baskets by Gina K. Designs. 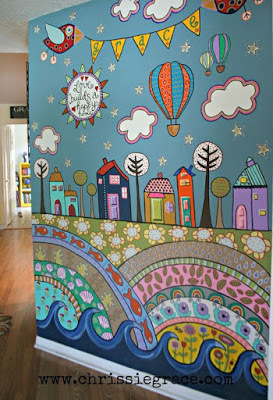 My background was sponged with various inks by GKD. I did some masking and hid a couple of large Easter eggs behind the daffodils. 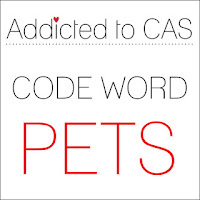 I then fussy cut the adorable little animals and adhered them to my card. Lastly I stamped a sentiment towards the top corner and tied a piece of twine. Good morning and thanks for dropping in! 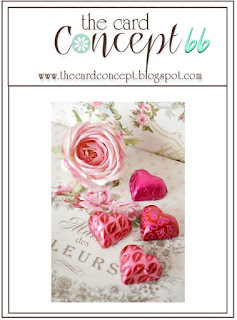 Tomorrow is Valentine's Day so I whipped up this card for my husband using an image and sentiment from a mini stamp set by Gina K. Designs called Vintage Rose. You can receive this mini set free this month with a purchase of $75.00 or more! The image I used was stamped repeatedly towards the top and one side of my card panel and colored in with my Prisma Colored Pencils. Lastly, I embossed the panel with a hexagon cover plate by PTI to give it a quilted look. 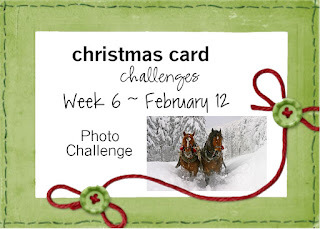 We have a photo challenge for you this week. 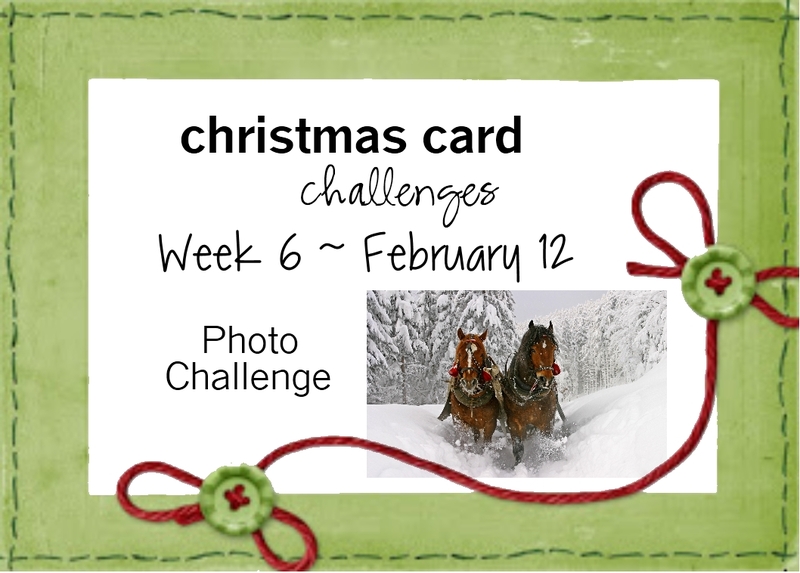 We would like to see you pull out your horse stamps, if you have any, and create a project and upload it to our gallery. This is optional, as long as it is Christmas related your good to go. I only have two sets that have horse images on it. I think this may be only the second card I have made that included a horse. I smooshed the background with die inks onto water color paper . After it dried I simply stamped my images and my card was done. Quick and easy. The horse and fence image are from the set Country Roads 2 and the snowflakes are from Dashing, both by Gina K. Designs. Today's card is a masculine monochromatic one. I need to stock up on cards for the guys, I have none at the moment. Who doesn't like a bunny in a basket? My card today features super cute new images from the newly released sets Spring Fling and Springtime Baskets by Gina K. Designs. Images were colored in with Zig Real Brush Markers and the bow was fussy cut and adhered to the top handle for a three dimensional look. I like to shop at the Gina K. Designs store Village Paper and Ink that is less than an hour away from my house located in Greendale Wi. If your ever in the Milwaukee area I encourage you to stop by her store. She is there almost every day and not only does she sell her own products but she sells products from other companies as well. 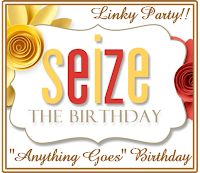 My card today features Gina's line of foil mate images that can be used in any foil laminating machine. I use the Royal Sovereign which I purchased through Amazon. For the background I used the Large Snowflakes image sheet and for the sentiment I used Holly Jolly Greetings. I used rose gold foil on both. 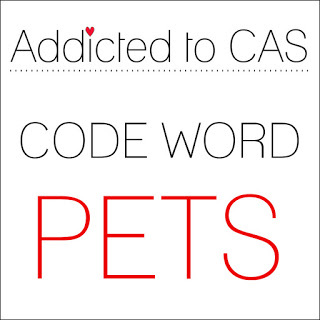 Let me tell ya, this is addicting! Stop by and play along with us. We would love to see you in our gallery! Today I created a card by stamping images from Altenew's Floral Frames and a sentiment from Birch Land onto a die cut panel from MFT's Blue Prints #27. The images were colored in with distress markers. Today's card was created using images by Gina K. Designs Sentimental Bouquet and a sentiment from an older retired cling stamp set called Nana's Needlework Sentiments.